The 10-yard dumpster is ideal for most all home projects. When needing to remodel a small room in your home this small dumpster will work well. Order today at Dumpster Rental Lee’s Summit. The 15-yard dumpster is used for mid-size residential projects such as a kitchen or bathroom remodels. This roll off dumpster Lee’s Summit is user friendly for those tight spaces and for residential driveways. The 20-yard dumpster is large enough to handle both a kitchen and bathroom remodel. This roll off dumpster Lee’s Summit is used for single car garage clean outs and the inevitable spring cleaning. 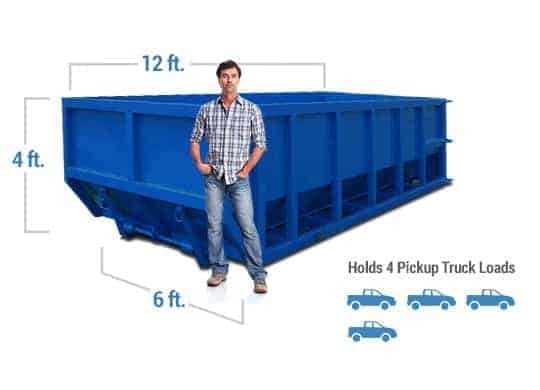 The 30-yard dumpster is a match for those larger remodels at home or for your business. Keeping the debris contained is no problem for the 6 feet high side walls. The 40-yard dumpster is the biggest roll off dumpster Lee’s Summit. The 8 feet side walls are great for handling large amounts of debris on construction projects. Discount dumpster is committed to having the best customer service. Our staff is experienced in working with our customers to ensure what they need and expect are delivered in a quick and timely process. Whether the project is residential or commercial, small or large, Dumpster Rental Lee’s Summit has the dumpster you need at a price you can afford. When you need help with your waste management needs give us a call. By utilizing professional hauling relationships we lower the price for each and every customer. 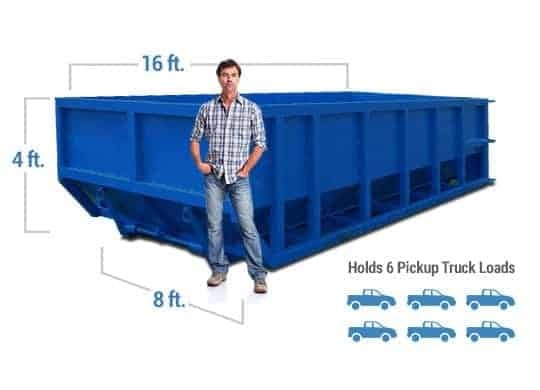 Analyzing and ordering the right size dumpster is simple with the help of our staff. To save both time and money Dumpster Rental Lee’s Summit suggests that one size larger roll off is ordered than what you expect to need. It is costly for a customer to have to order a second roll off just for a small amount of overflow debris. 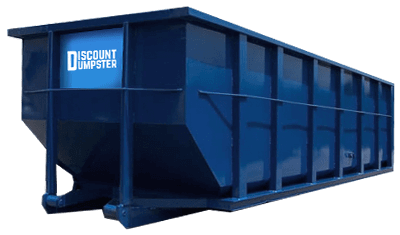 Discount Dumpster gives the best pricing available for dumpster rentals. Our customers expect and receive prices that don’t take away from the project. Containing trash is a must on any project but delivering the roll-off and removing the trash is our job. Our goal is to give our customers quality dumpsters at an affordable price. To help with your waste management needs we provide containers large and small. With a 48 hour turn around you are able to complete your construction projects quicker. Each bin is equipped with a large gate at the rear. This allows for quick in and out access to dispose of all junk removal needs. Simply lift the lever to swing the gate open and walk in larger, bulky material. This prevents potential injury by not having to throw debris over the top. Discount Dumpster is proud to give customers quality service and discount pricing on trash containers. Handling the trash on your project shouldn’t be a pain, but painless. Start containing your trash by contacting one of our staff members. They will walk you through the easy steps of ordering and scheduling your dumpster rental Lee’s Summit. Waste management needs are always met when you utilize our services. By teaming up with local landfills, transfer stations, and haulers each customer is treated fair from the start. Planning a weekend project? A small roll off container will help you finish everything you need by weekend end. Simply call our team to reserve your bin today. Permits are required for remodels and commercial buildings, including repairs, additions, and bearing wall updates. The good news is that you do not need a permit when you rent a bin. The best place to drop the box is on a driveway but the City of Lee’s Summit also allows them to be placed on the street. With specific instructions you will not need to be onsite when delivery occurs. Let us know where the ideal location for dropping the container is and leave the rest up to us. It’s that simple! The better question may, be what is not allowed to be thrown into a roll off container? There are specific items that are prohibited from being thrown away. Think about if you are able to throw it away in your regular residential trash pickup. No? Than most likely is not able to be tossed in your rental. Landfill, yard waste, and household hazardous waste facilities are located at Resource Recovery Park.